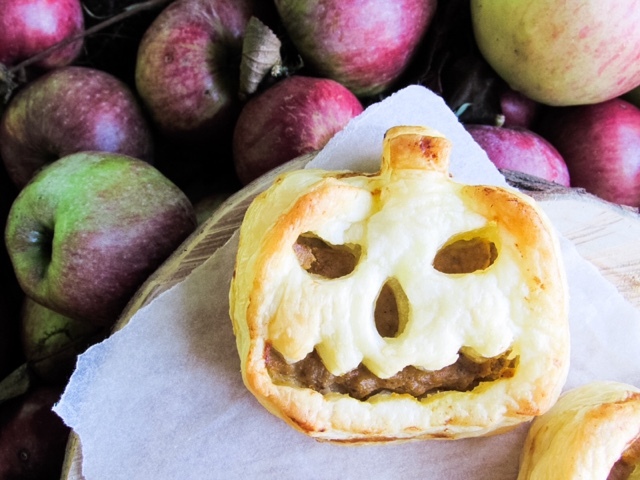 Halloween is nearly upon us, so it only seems right that today's recipe is a Halloween themed one! 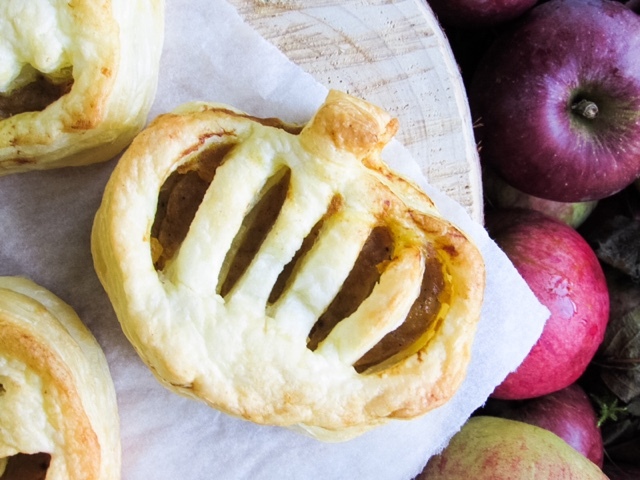 These pumpkin pies are perfect for toddler's/children, as well as adults. 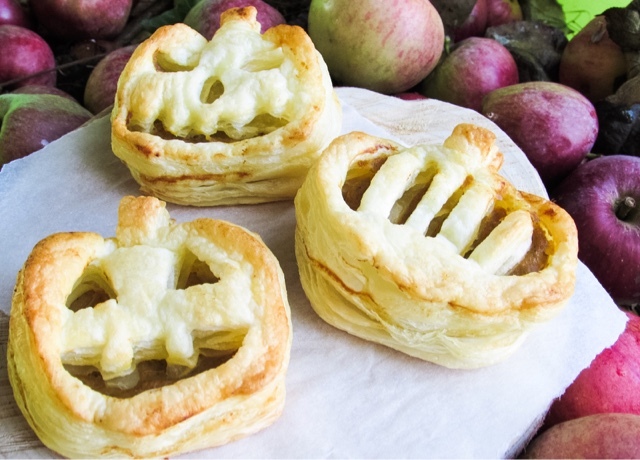 They're also fun to make with slightly older children or if you're having a Halloween get together. 1) Preheat the oven to 180'C. In a bowl combine the pumpkin puree, maple syrup, cinnamon, mixed space, Greek yogurt, Sweet Freedom Fruit Syrup and 2 eggs. 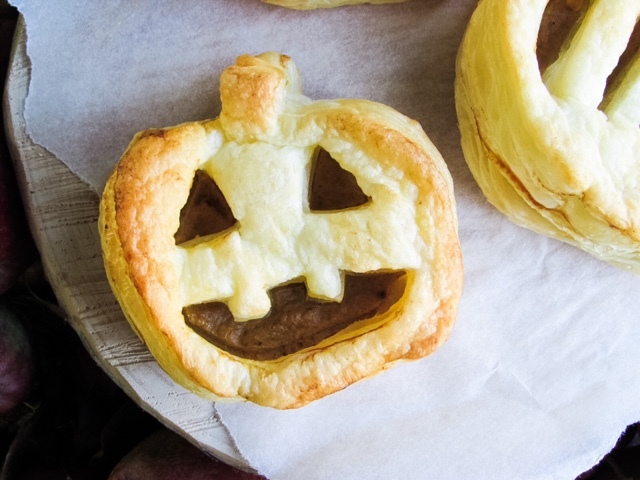 2) Unroll the puff pastry and cut out pumpkin shapes in pairs (one for the top and one for the bottom). 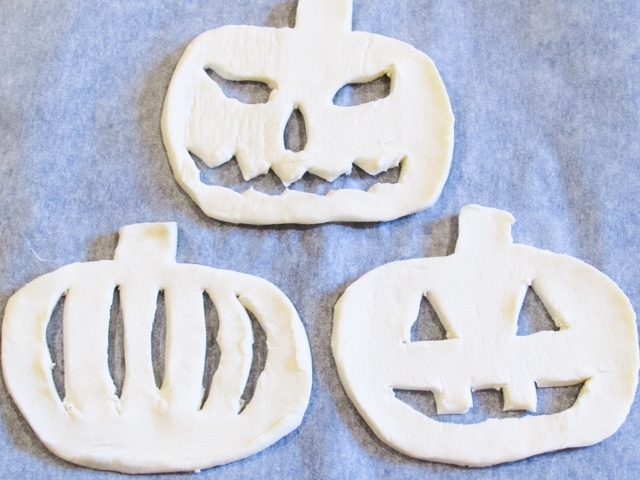 Then cut a pumpkin face into one of each pair of pastry pumpkins. 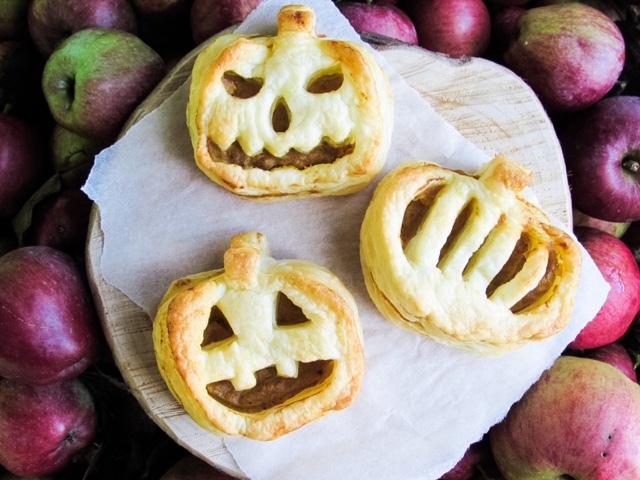 3) Spoon about a dessert spoon size amount into the middle of the whole pastry pumpkin, leaving a border around the outside. Wet that border and then place the pumpkin with a face on top. Press down gently around the outside and place on a lined baked tray. 4) Bake for 15-20 minutes or until puffed up and golden brown.